The pit gates at the Thunder Bowl Speedway in <?xml:namespace prefix = st1 ns = "urn:schemas-microsoft-com:office:smarttags" />Moundhouse, NV were open early for Round 2 of the 2006 Northern Nevada Flat Track TT Championship Series on May 6, 2006. And though the promoters are now blaming cabin fever for starting the season a bit too early – a blizzard blew out the March 25 opening at Thunder Bowl and Spring showers washed out the April 22 event at Rattlesnake Raceway in Fallon NV – over 110 entries were raring to go. 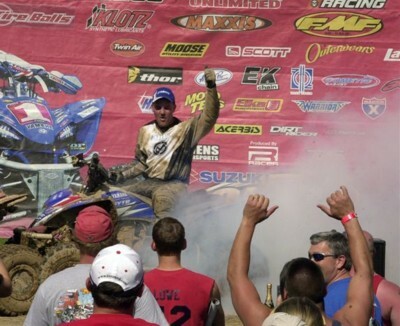 Another amazing GNCC race, and another clutch win for Yamaha’s Bill Ballance. The 2006 Suzuki Grand National Cross Country Series has turned into one of the best battles ever, and the ITP Loretta Lynn’s GNCC just added to it. San Bernardino, CA – 19th Annual White Brothers World 4-Stroke ATV MX Championships will be on April 22-23, 2006. Make sure to pre-enter to save $5. No membership is required to race this event. Never doubt six-time Suzuki Grand National Cross Country ATVs Champion Bill Ballance. After struggling at the GNCC opener in Florida, the factory Yamaha rider battled back and beat his rivals straight up at the Maxxis General GNCC in Georgia. 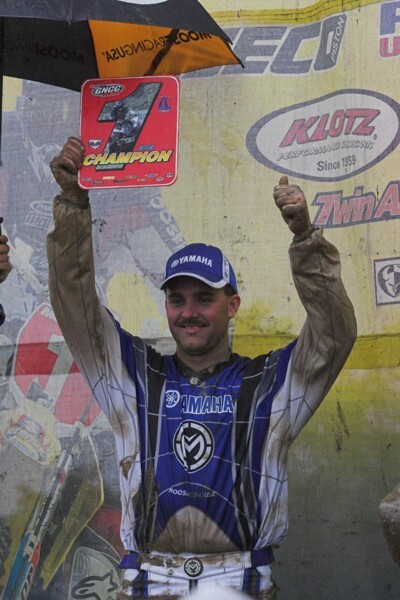 East Coast ATVs Honda Chris Borich proved that he is serious about winning the 2006 Suzuki Grand National Cross Country Title, as the young Pennsylvanian dominated the season-opening Suzuki Orange Crush GNCC in Florida. Borich dove underneath defending GNCC Champion Bill Ballance in turn one to steal the ITP Holeshot, and then pulled away from the field at an amazing rate to win the race by over three minutes. 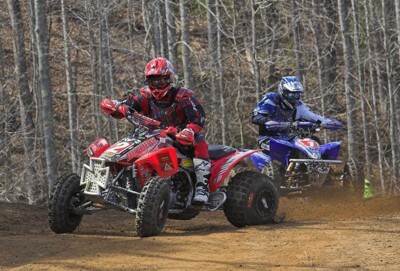 It was one of the most dominant wins in GNCC history. 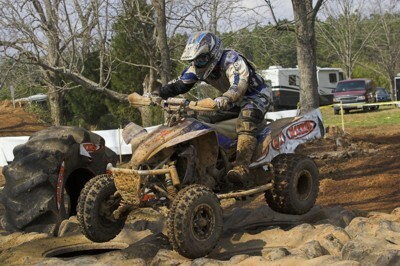 Inman, SC — As a series champion on the GNCC Racing Circuit, Kevin Johnston knows a good machine when he rides one — and what to do with it.